So, my kids are big fans of cookie butter, and pretty much want it all the time. I try to buy it sparingly, however, when I do, I put it in/on as many recipes as I can ha. When Lukas said he wanted me to put cookie butter on his pancakes, I thought of how to incorporate it into a breakfast recipe. 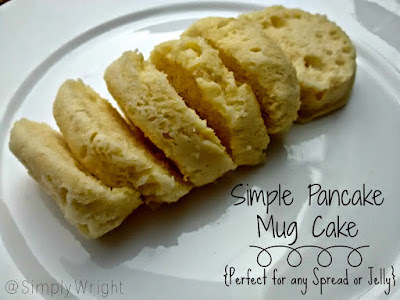 Loving pancake mix the way I do, and wanting to create a quick and easy morning recipe, muffins were my first choice. These muffins are delicious, simple to make, and only take about 25 minutes from start to finish. If you haven't tried cookie butter anything yet, I dare you not to try these! In a large mixing bowl, combine pancake mix, egg, milk and cookie butter until all ingredients form a thick batter (with no chunks). Fill each greased muffin pan half way. Bake at 350 for 16 minutes or until muffins start to brown on top. How easy are these muffins to make? 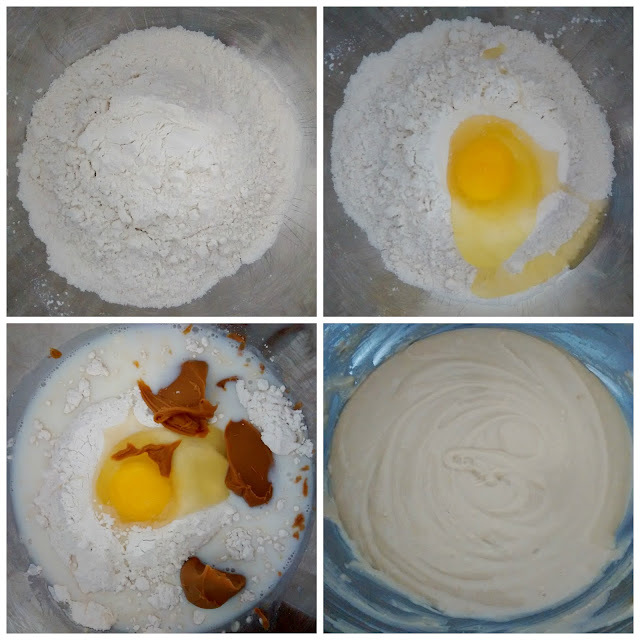 If you're interested, here are more of my fav pancake mix recipes! Yummy!! thanks for the post. These look dangerously delicious!!!! I am literally salivating, haha!!! I think I'm gonna have to try it!! I think I could get my picky husband to eat these. 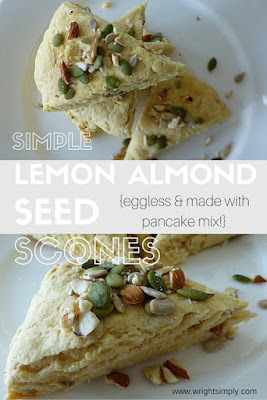 Such a clever idea using pancake mix as the backbone to this recipe. So many things you can do to make this different every day. Oh yum! These sound and look amazing. 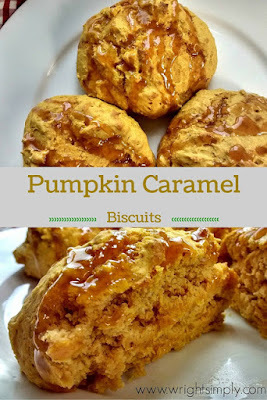 I'm obsessed with cookie butter so i'm thinking these would be fabulous on a lazy Saturday morning. I'm pinning this to make later. Thank you for sharing! Brilliant idea for fast grab and go breakfast. Yummy! These are making my mouth water, what is cookie butter though?! I love anything with the word cookie in it! I will have to try out these muffins which look fantastic. These sound like a great treat, and they are for breakfast?! Uh, yes, please! I've never heard of cookie butter before. Sounds yummy. Looks like a delicious breakfast muffin! What a fun idea for breakfast. These look amazing. My kiddos would love them. I'll try them out soon! I love cookies and I like muffins. So this recipe really works for me. Thanks for sharing. That looks like a yummy sweet breakfast treat my son would LOVE! These look so fun! 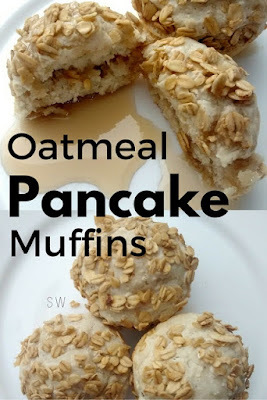 My kids are obsessed with anything pancake, peanut butter, and muffins, so this sounds like an awesome combo! Yummy! Definitely pinning this for later! The inside of those look AMAZING! Love it! I'm pretty sure I'm the last woman in America not to have tried cookie butter. This does sound like a good use for it, though. Cookie butter is SO. GOOD. 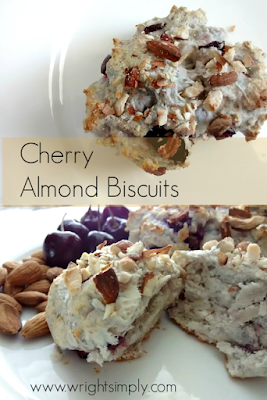 I think I'd consider these more of a dessert than a breakfast food, but they look delicious nonetheless! Yum! My toddler would love these! I have never even heard of cookie butter before. These look so interesting! 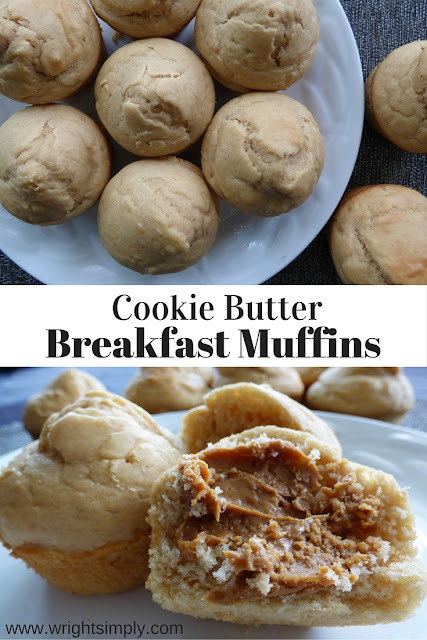 I have never heard of cookie butter, and I love how hearty these muffins are for breakfast. Great recipe! 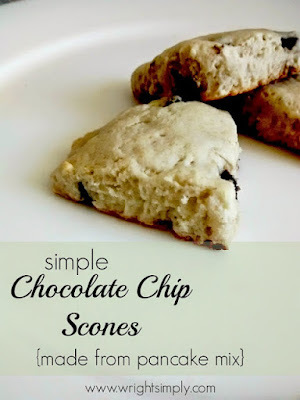 These look SO STINKIN' DELISH! WHo doesn't love cookie butter?!?! Or better yet, try it today.